The video clip of Noah Hutchins jumping over 6-foot-10 teammate John Orogun and 6-8 teammate Joe Jones during the slam dunk contest of the first LTE Showdown is a highlight still worth watching, even if it’s almost a year old. After all, watching anyone effortlessly soar over people taller than oneself, including one by 9 inches, is a must-see feat of athleticism. It definitely got a rise out of fans at Park School. What will Hutchins or the area talent do for an encore? They will provide the answers at 5 p.m. Tuesday and Wednesday at Park during the second LTE Showdown, an all-star event organized by Hutchins and his friends to showcase area boys' and girls' scholastic talents with grade-specific skills competitions and basketball games over two days. Tickets are $10 for one session, $15 for both. Part of the proceeds will go to a charity to be determined by Hutchins. Four games are scheduled with various competitions following each game. The 11th grade boys all-star game opens the event Tuesday, as will the ninth-10th grade boys showcase game. The girls all-star game is Wednesday, followed by the 12th-grade boys showcase game and the dunk contest. Hutchins said he isn't sure what he will do for the dunk competition this year. “I don’t know yet. I’m still trying to debate whether I’m doing the dunk contest again,” he said, noting that if competitors are exciting the masses, that he probably would watch with the rest of the fans. Hutchins said 100 student-athletes are expected to participate. 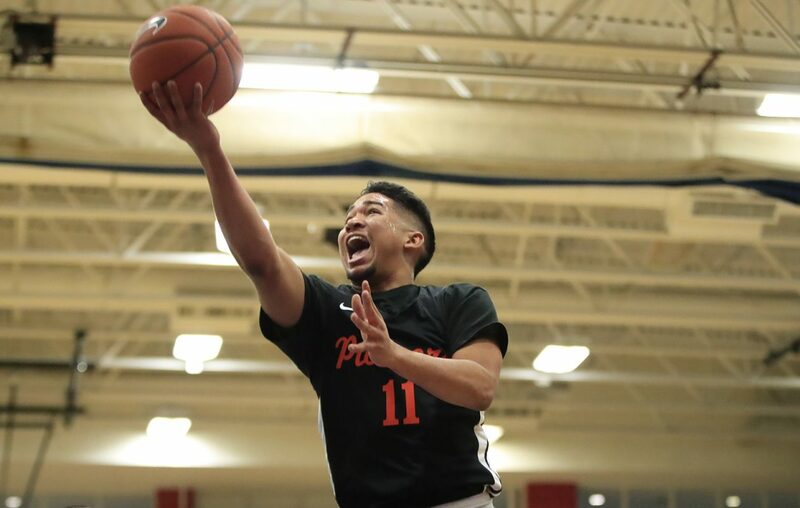 Those who have committed to play, according to Hutchins, include Niagara Falls’ Willie Lightfoot and Jalen Bradberry, Olean’s Mike Schmidt, Lew-Port’s Roddy Gayle, Lockport’s Malik Brooks and Park's Quentin Nnagbo. Girls expected to participate include Williamsville South’s Amari DeBerry, Cardinal O'Hara's Angel and Aaliyah Parker, Olean's Sara Pfeiffer and Franklinville's Dani Haskell. Area coaches expected to work the sideline include Desmond Randall of West Seneca West, Gabe Michael of St. Joe’s, Jason Rowe of Bishop Timon-St. Jude and James Kane of Middle Early College. “(Noah) reached out to me and asked me,” Michael said. “He’s such a good kid and has had such a great career, I didn’t think twice when he asked me to do it. Part of the proceeds from last year’s LTE went to Anita’s Helping Hand, a not-for-profit run out of Ephesus Ministries of Buffalo that provides basic needs kits to homeless people. Part of the proceeds also went to a Hutchins family friend to assist with funeral costs after a tragic loss. Last year, 70 student-athletes participated. LTE, which stands for Licensed to Eat, originally was the name for an apparel company run by Hutchins. He stopped making T-shirts in November 2017 after a house fire destroyed his equipment. LTE went dormant until Hutchins and a couple of his basketball friends came up with the idea of organizing their own all-star type event because their respective weekend AAU team commitments prevented them from accepting invitations to participate in local all-star games. “It takes time to set everything up, but it’s cool,” said Hutchins, who has to pay to rent the school gym at Park even though his father Marcus is the athletic director. Noah Hutchins’ goal for the event: “Just to keep it safe for everyone and to have a good time,” he said.